UAE is emerging as an international hub fueling by the growth in financial and business services, tourism, trade, and logistics. This coalition of seven emirates is providing diverse business advantages for investors. Among the seven Emirates, Dubai has transformed from a local trade communal to a giant business hub in a short period of time. Currently, it’s an enormously conspicuous site for business investors alike tourists. UAE has been the most diversifying and effective economy within the GCC region. The legal framework including investment rules, procedures and spurs are continuously improving to boost added foreign venture. When it comes to economy debt recovery is as vital as debt and the debt has been around as long as the history of money itself. Debt Recovery Agency is one of the most highly demanding services in UAE for the sake of a company’s reputation and assets. Debt collection is a procedure to recover the unpaid invoices, bounced cheques, etc., which can be a daunting and prolonged process. Negotiation, supervision, alliance and settlement in a cordial way are required to collect the due amount and handling the cash flow. This is a primary soft service providing timely series of increasingly urgent reminders about the outstanding debts. It can initiate when the other party fails to meet the deadlines with regard to payments. We’ll pursue them through the hard collection services if they don’t respond. The unpaid debtor’s account may revert to ‘Hard Collection’ status to retrieve the unpaid amounts after the due date of payment is passed. 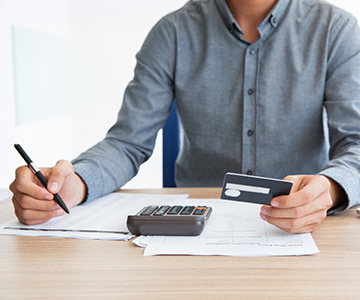 Initially, we try our best to negotiate in the most cordial manner of settlement to pay the amount to the creditor or risk a collection action with a negative credit report. Our debt collectors in UAE will ensue through recognized manners to take legal action against the debtor for the recovery of the unresolved bad debts. Our team is expert to locate the skipped/absconded defaulters inside and outside UAE and undertake some alert actions. We are resourceful to trace out the debtors with the help of our database and overseas affiliated organizations. If the reconciliation process ends without any positive results our legal department would take care of the bad debt recovery through litigation process of all stages. If one is experiencing any or all of the above situations, it’s suggested to hire a Dubai Debt recovery agent or receivable collection agent to proceed rationally. 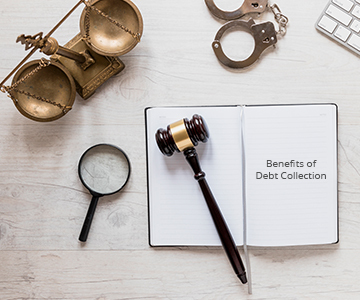 The proficient receivable collection services have the expertise to deal with the monetary issues in the most beneficial and conceivable manners to make secure verdicts. HHS Lawyers & Legal Consultants are providing an exclusive blend of business services which are primarily structured to assist in the commercial bad debt recovery. We are functioning for and on behalf of our Clients throughout the four corners of the world. We are having an experienced team of Multi-lingual, Dedicated, Cost-Conscious and Effective professionals. It needs to develop and embrace optimistic working relations with the clients by managing direct arrangements through professional assistance. An open communication between the creditor and the debtor throughout the procedure is essential for a smooth recovery for both parties. Our global debt recovery services in UAE will do their best to assist you in getting your money back quickly. The risk factor also counts in this manner due to the related punishments according to UAE law. Certain circumstances can harm the business and reputation which needs to be taken care of by professionals. HHS Lawyers put their professional expertise to reduce the additional cost and time of the clienteles in retrieving their unsettled debts and maintain the repute. The inadequate defective efforts usually result in causing disputed cases. If the debtor has not been approached formally then it will suffer the business. For offending matters where the cordial clearance is not possible, criminal and civil actions can be proceeded through formal channels to get the most effective outcome. Our proficient approach will get the issue resolved in an appropriate manner. Our network of skilled individuals for global debt recoveryutilizes propelled tools to find and contact the debtors in all four corners of the world. 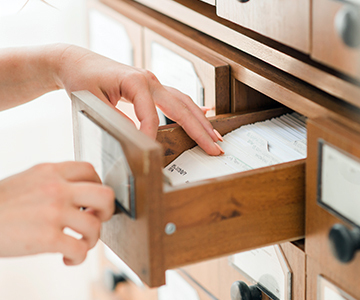 We will trace the debtor’s data and consistently correspond with them through written and verbal means. Our debt recovery Dubaiagency can deal with the issue proficiently and professionally as we are expert in how to deal with debt defaulters. With our assistance, you can save your time, cash and resources to invest in your imperative business and more vital things. We are well aware of avoiding needless extra & legal charges to recoup unpaid invoices. The chances of getting the debts paid will increase when you involve a professional receivables collection servicesin the process. Most debtors don’t want to get into legal inconvenience. Our network of skilled individuals for global debt recovery utilizes propelled tools to find and contact the debtors all four corners of the world. We will trace the debtor’s data and consistently correspond with them through written and verbal means. Our debt recovery Dubai agency can deal with the issue proficiently and professionally as we are expert in how to deal with debt defaulters. With our assistance, you can save your time, cash and resources to invest in your imperative business and more vital things. The chances of getting the debts paid will increase when you involve a professional receivables collection services in the process. Most debtors don’t want to get into legal inconvenience.